Christina Divine in LOCATION, ST | Ocala Equine Hospital, P.A. Dr. Christina Divine grew up in North Florida and earned a B.S. in Biology from the University of Florida in 2011. She then attended the University of Florida College of Veterinary Medicine where she graduated in 2016. 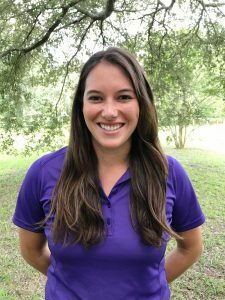 Upon graduation, she joined Ocala Equine Hospital for a one year internship. Since completion of her internship, she has joined our ambulatory practice. Her professional interests include reproduction, neonatal and foal care, as well as lameness. Dr. Divine enjoys spending time with her dog as well as hiking, kayaking, biking, and other outdoor activities.